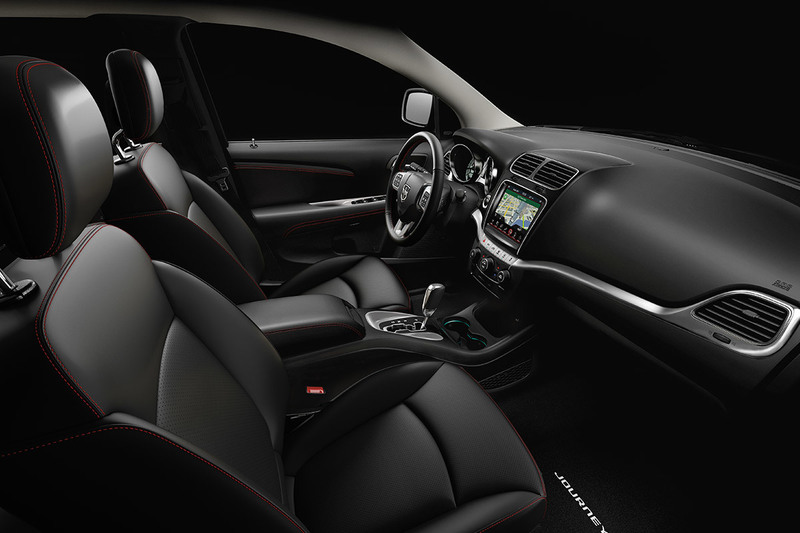 Sleek on the outside and spacious on the inside, the Dodge Journey delivers a stark presence. Not only can it pack a lot inside for both cargo and passenger space, but its internals power it all in a breeze with strength and efficiency. This versatile SUV is flexible to the driver’s needs, for both city and country driving. At Armstrong Dodge, you can learn about all the ways the Dodge Journey can serve you! The first thing you’ll notice when you step inside the lavish interior of the Dodge Journey is all of the versatility options you have at your disposal. You can easily seat up to 7 people on the soft and comfortable seats; but you can also modify the 2nd row to access the rear seats with its Tilt’n Slide® functionality. As well, its cargo space can get as high as 1,914 L with the folded-down ability of the third row rear seats. Its technology is focused in the Uconnect® 3 multimedia centre with an 8.4-inch touchscreen. You can hook up your Bluetooth to gain access to hands-free voice technology for navigation and satellite radio commands. In short, the Dodge Journey can handle all you can fit in. 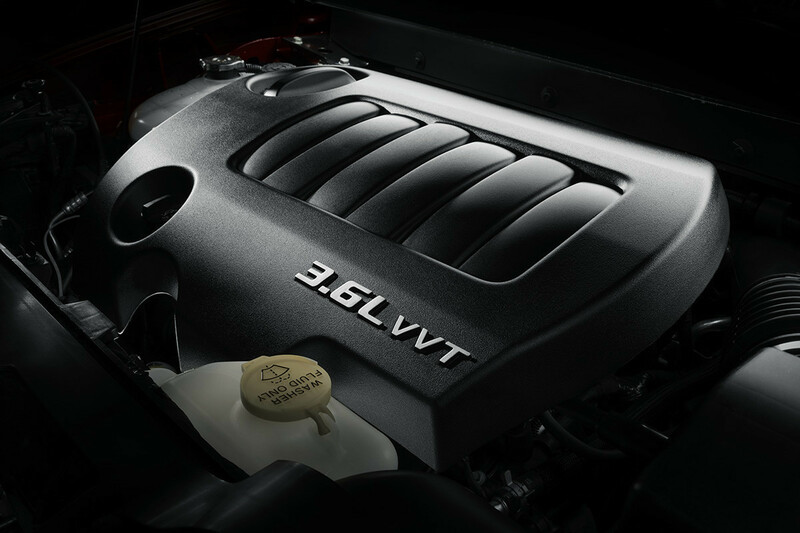 For the highest trim level of the Dodge Journey,the SRT, you’ll get to enjoy a 3.6 Pentastar VVT V6 engine that gives 260 lb-ft of torque and 283 horsepower from its subtle power base. You can also tow up to 1,134 kg for sizeable trailer pulling. This top tier model has a 6-speed automatic transmission for ultimate driver control. Of course, to deal with Canada’s drastic weather changes, the AWD will give you total peace of mind. You’ll get terrific efficiency with front wheel drive, until your vehicle suffers wheel slippage then the rear wheels will activate for all-wheel support. The Dodge Journey gives you everything you can handle with its excellent power and great efficiency. Maintain your confidence on the road thanks to over 40 safety and security features in the Dodge Journey. Essentials on every model include Electronic Stability Control which gives you great traction on uneven surfaces, ABS brakes to prevent your tires from skidding, 7 airbags and a slick Keyless Enter-N-Go feature. You can also outfit your vehicle with all of the latest safety technology upgrades like a back-up camera and a rear park assist system. Come to Armstrong Dodge to see and experience the Dodge Journey for yourself.